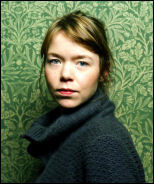 Two new Radio 3 dramas for Anna. Can't believe I missed this but Anna has another radio drama for Radio 3 called Faust,the other one I've already posted about, press release below. Kate and Merton need money. Milly needs love. How far will they go to get what they want? Kate Croy is in love with Merton Densher; a poor writer. Her rich aunt Maud disapproves. Maud has offered Kate a wealthy existence but if Kate chooses to marry Merton she risks losing it all. When American Heiress Milly Theale steps into her London society, Kate sees a way out. Ep 2/3 DOWNLOAD Milly confides in Kate that she believes herself to be gravely ill and Kate begins to see a way for her and Merton to have a future. When Merton returns to London, Kate sets out to bring her lover and her friend together. With Kate's assurances that there is nothing between them, Milly allows herself to hope that Merton may be the one great passion in her short life.